Happy Friday! As we bring this week to a close, we want to thank you for joining us for #ThatBusinessShow with your Host, Jamie Meloni, every weekday at 8am on #1250WHNZ! Airing on the #MorningAir, #ThatBusinessShow is a show dedicated to promoting our local community! Bringing on professionals from all walks of life, #ThatBusinessShow is proud to #HelpOurCity! 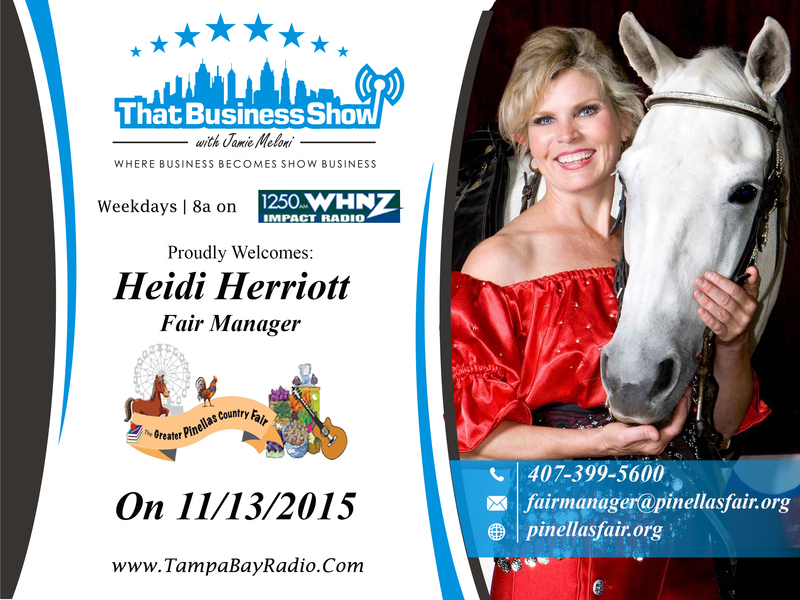 Joining Jamie Meloni today was Heidi Herriott, manager of the Greater Pinellas Country Fair. 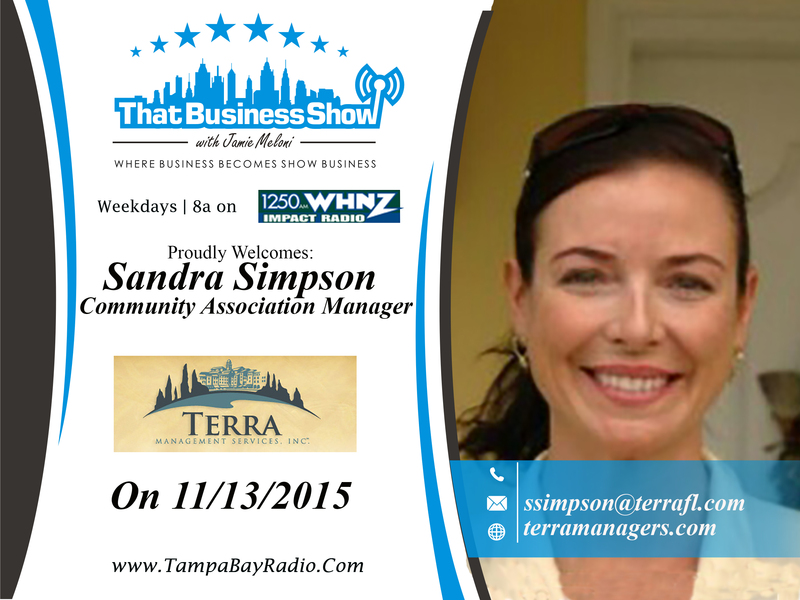 We also had on Sandra Simpson, community association portfolio manager with Terra Management Services! If you missed today’s show, then head to http://www.tampabayradio.com or Jamie’s YouTube Channel at http://www.youtube.com/jamiemeloni to catch all of our live streamed episodes on demand! as a third generation performer, animal trainer and lover, and animal welfare advocate. Her career has taken her throughout North and South America. Heidi loves training, traveling and performing with her animals! In 2011 and 2012, Heidi produced, directed and starred in her own national television series, Heidi Herriott’s HorseTrix, which aired for 14 months on the FamilyNet station. Coming on the #MorningAir, Heidi discussed with us all of the fun activities that you and your family can enjoy at the County Fair! As the Manager of the fair, Heidi told our listeners that tickets are on sale now! Doing everything from farming education, pig races, and classic carnival rides, you won’t want to miss the Greater Pinellas County Fair! Learn more at http://www.pinellasfair.org! Sandra Simpson joined Jamie Meloni on the ‪#‎MorningAir‬ for ‪#‎ThatBusinessShow this morning at 8am! Sandra is the community association portfolio manager with Terra Management Services, LLC, and with offices in Tampa and Sarasota, Terra Management is a boutique management firm, representing some of the finest communities in central Florida and on the Florida Gulf Coast! Priding themselves on being HOA professionals, Terra Management Services #HelpsOurCommunity! You can find out more at http://www.terramanagers.com!